"I would essentially throw out the entire tax code, along the lines of the Bowles-Simpson recommendation. Get rid of the vast majority of the exemptions, credits, and loopholes. I would keep things like the home mortgage interest deduction, the charitable credit and the [research and development] credit. But simplify it and dramatically lower the rates. I think we'd have a far fairer system." The Context: In an interview with US News, Pataki covered a variety of topics including laying out his stance on the American tax code. In addition to this short list of credits and deductions he would like to maintain, he would "suggest that we have a tax rate on manufacturing that is the lowest in the developed world" and implied a similarly substantial cut to the overall corporate tax rate. This entry is a continuation of yesterday's Part 1, in which we looked at how much money is claimed in tax returns across the country as mortgage interest paid. So, mortgage interest—as a basis for supporting housing and middle-class economic stability and upward mobility—varies greatly across the country tied to a variety of several other fluctuating variables. The wide range of interest payment amounts is the result of the housing market and the financial markets. It is affected by variations in homeownership rates and property values (which in turn affect local school funding). It is affected by the types of mortgages and their interest structure which historically are offered on both case-by-case and neighborhood-by-neighborhood bases, as banks determine both the risks of the borrower and the property. (Redlining was outlawed decades ago, but last decade's foreclosure crisis carried with it indications of a more sophisticated 21st-century version.) Interest rates also change over time, and thus newer neighborhoods and gentrifying cities will see different average rates than areas with an established population and little population change. Consider cross-referencing yesterday's maps with the atlas entries on housing affordability, homeownership and renting, and population density (these links will take you to the atlas entries, click the maps below to enlarge). Which parts of the country stand to benefit the most and the least from the Home Mortgage Interest Deduction? Answering the question requires two sets of maps. First, we need to examine the regional distribution of the deduction itself and ask what percentage of tax returns claim mortgage interest payments in an effort to understand which communities rely more heavily on receiving that deduction. Next, we should compare this to the value of the deduction relative to local incomes. Zooming out beyond the scope of individual household costs or ownership, we can think about what this deduction also means to communities and local area and regional economies. Receiving this deduction means greater amounts of money for other spending, saving, and investing. Where interest amounts are relatively low compared to income levels, this impact is minimal. On the other hand, where interest amounts are relatively high compared to income, its effects could be substantial. The Context: In the interview with US News, Pataki covered a variety of topics including laying out his stance on the American tax code. In addition to this short list of credits and deductions he would like to maintain, he would "suggest that we have a tax rate on manufacturing that is the lowest in the developed world" and implied a similarly substantial cut to the overall corporate tax rate. The Bowles-Simpson recommendation: Pataki and other candidates consistently use the Bowles-Simpson plan as a benchmark against which to compare or measure their tax proposals. The plan has gone through revisions over the last few years, with each proposal to the National Commission on Fiscal Responsibility and Reform made in an effort to reduce the national deficit through combinations of cutting discretionary spending, increasing tax revenue, reducing entitlements (both military and civilian), and raising the retirement age for social security. With each iteration, the plan has been contentious, with praise and criticism coming from both major parties for different elements of the plan. For additional reference and examples of the debate, see here, here, here, and here. Taxing is easily the most fundamental and common question the candidates must address—from what is taxed and who is taxed to how much to tax and why we're taxed (or how that money is spent). Among the many deductions and credits available to taxpayers, some are framed as supportive policies which recognize that families live in different circumstances such as deductions for dependents. Others are framed as incentives to encourage certain purchases or behaviors, such as credits for investing in energy-efficient home improvements. Then there are those that arguably sit in both categories. Of these, the Home Mortgage Interest Deduction is the largest, probably the most popular, and still possibly the most contentious (see here, here, and here). Advocates for the deduction argue that it is an important and successful policy to support struggling middle-class families, helping to offset the cost of homeownership particularly following last decade's foreclosure crisis. Opponents argue that the largest benefits go to the already wealthy and that the deduction incents unsustainable and unaffordable purchases. Advocates claim that it enables the stability and social mobility that accompany homeownership. Opponents claim that —following the money—it redistributes funds from the taxpayers in aggregate (many of whom are renters) to banks through individual homeowners, funds which could otherwise be applied to everything from schools to the military or not included in the federal budget in the first place. 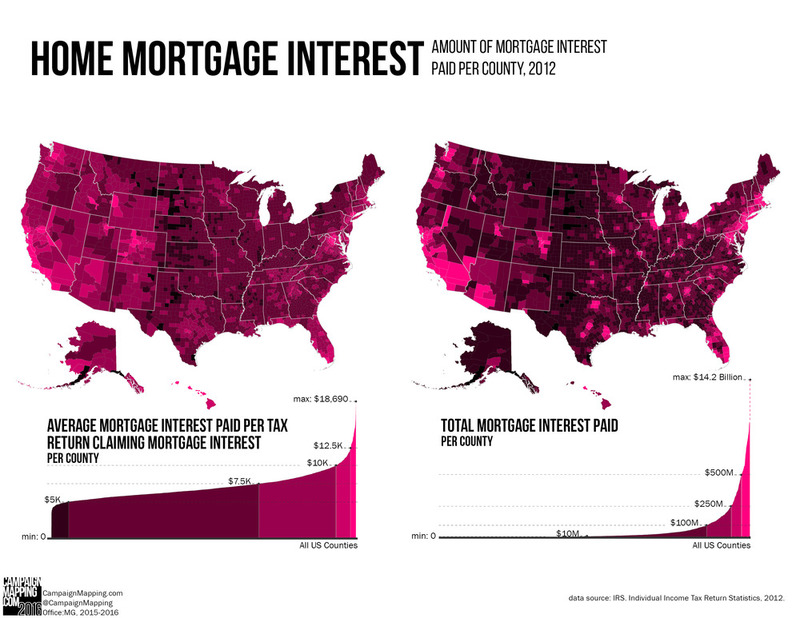 Most agree, however, that the mortgage interest deduction is the country's most substantial and far-reaching housing policy and that, as policy, it prioritizes borrowing and ownership over other alternatives. How much money are we talking about? And Where are high (and low) interest payments made? Which parts of the country stand to gain the most from the home mortgage interest deduction? "I'd shrink the size of the federal work force, starting with the bureaucrats overseeing Obamacare, and I'd fire every corrupt IRS employee abusing government power to discriminate on the basis of politics or religion." The Context: Shrinking the federal work force is the last change Pataki highlighted in a list of immediate actions he would take as president. The common objective of these actions is to stimulate business growth by minimizing the role of government. At several points, his speech also highlighted the importance of national defense, homeland security, and international relations. What proportion of American civilians are employed in government jobs at all levels? 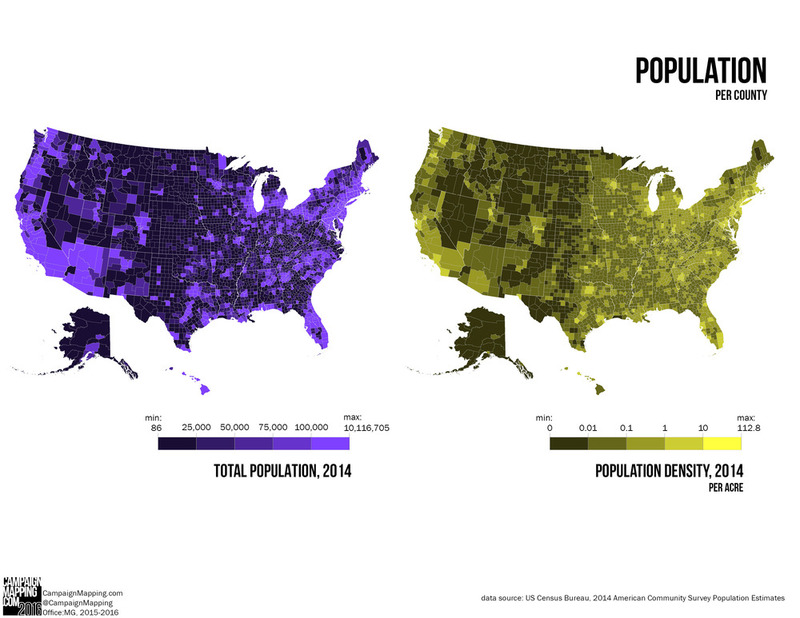 Are these jobs regionally concentrated or evenly dispersed? For federal jobs, specifically, which lines of work employ the most civilians?